Actress Amber Heard recounted the years of abuse she endured from her ex-husband, Johnny Depp, in her recent court documents filed in response to the previous $50 million defamation lawsuit against her. She accused Johnny Depp as “the Monster” numerous times in her statement and claimed that wouldn’t remember any of those abuses due to his extensive drinking and substance use, as reported by Page Six. He allegedly dragged her to a bed and began smacking her head thereby breaking the bed frame in the process. 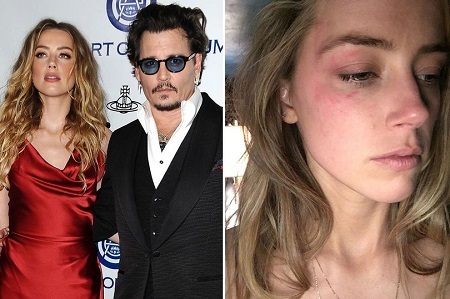 In May of 2014, the Amber Heard claimed that Depp began drinking heavily, threw stuff at her and verbally abusing her. She claimed Depp kicking her and knocking her down to the ground, owing to which she passed out in the restroom of the plane. He later apologized to her via text message, saying he couldn’t recount what happened. Heard penned an op-ed in the Washington Post in 2018 and briefed her abuse, but didn't mention Depp in the article. The actor filed a $50 defamation in a lawsuit, claiming that Amber Heard was the actual abuser and that her allegations are nothing but a hoax.